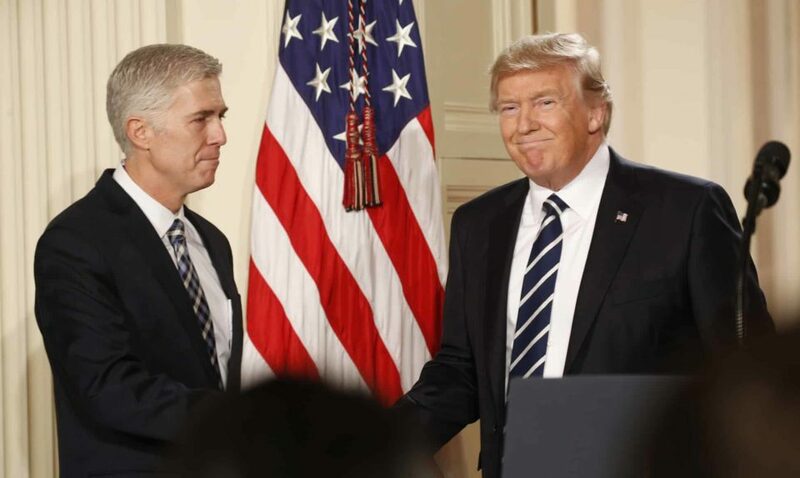 Despite staunch opposition from Senate Democrats, Republicans are supremely confident that Neil Gorsuch, Donald Trump’s Supreme Court pick, will be confirmed. In an attempt to get their way, Democrats began a filibuster on Thursday, essentially throwing the Senate into a holding pattern with endless debate. Filibusters can be ended with support from 60 senators and a vote forced on the issue at hand. The problem? Republicans only have 52 seats. However, the GOP is determined to see Gorsuch appointed. Senate majority leader Mitch McConnell is committed to deploying the “nuclear option” to change Senate rules and get Trump’s nominee confirmed by a simple majority (which Republicans possess). But such a move sets a dangerous precedent. Allowing Supreme Court nominees to be confirmed by just 51 of 100 Senators reduces the need for compromise, meaning America’s top court is likely to be filled with more extreme left or extreme right judges. This will exacerbate political polarisation, which has brought Washington to its knees in recent years. Grexit was all the rage in 2015. While recent events have overshadowed this prospect, Greece’s debt crisis is poised for a comeback of sorts when EU finance meet to discuss a new deal on the country’s bailout program on Friday. The issue? Greece is yet to cut pensions and liberalise labour laws, reforms that it agreed to implement in exchange for bailout instalments. But with a $7.5 billion loan repayment due in July, neither Athens nor its international creditors can afford to hold off much longer. Allowing Greece to default could be catastrophic for the EU economy, while further debt relief will be unpopular in Europe’s fiscally conservative north. 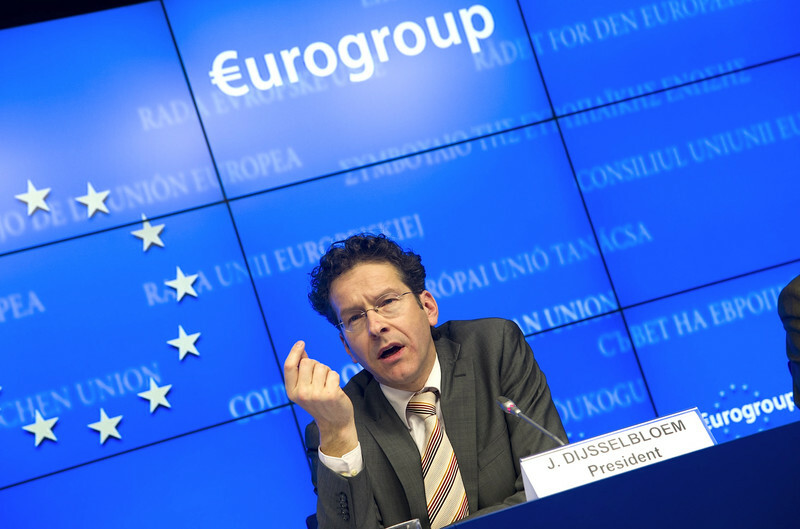 With crucial elections in France and Germany to be held in the next few months, Brussels will seek an agreement to stabilise Greece and stop the march of populists – which are contesting elections in both countries and hold power in Greece. Bangladeshi PM Sheikh Hasina will visit India on Friday in a trip expected to be highly productive; as many as 33 cooperation agreements are on the table. Bangladesh is already in election mode for the next parliamentary polls, so Hasina will be keen to get an edge over her political rivals by making solid ground in India. 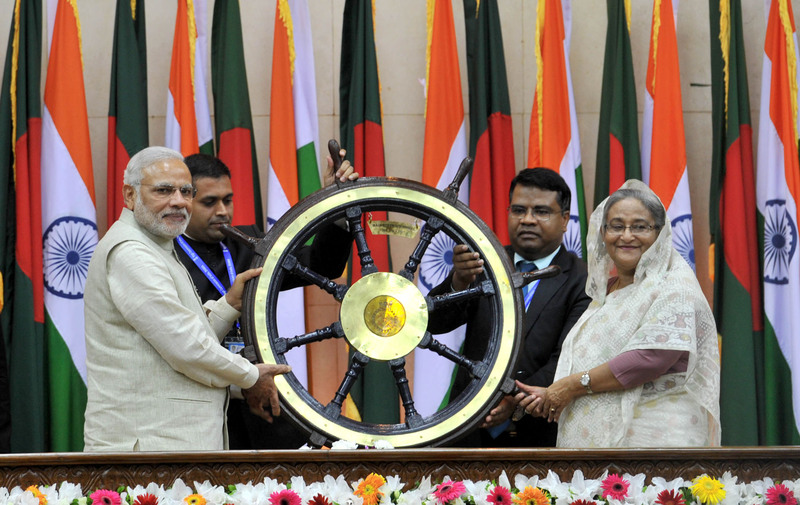 The odds are in her favour: India is set to offer Bangladesh a third line of credit worth $3.5 billion on top of massive infrastructure projects. More uncertain is Hasina’s push for a resolution to the 40-year-old Teesta River dispute, which was nearly brought to a close last year. The deal, which would see crucial river water shared between the two countries, was axed at the eleventh hour – a causality of political manoeuvring by officials attempting to rival Indian PM Modi. While some suggest a revised treaty could be signed as soon as May 25, any progress on the issue before 2019 – when both countries dive into election mode – will test Modi’s diplomatic skill in corralling competitive politicians and breaking a decades-long deadlock. Demonstrations are expected across South Africa to call on embattled President Jacob Zuma to resign. Ratings agency S&P downgraded the country’s credit rating to junk status on Monday, citing political volatility after last weekend’s cabinet reshuffle. Fitch, another ratings agency, will release its assessment on Thursday – which is likely to also demote the country’s investment grade. In all likelihood, Mr Zuma will face a no-confidence vote when parliament reconvenes in May; whether he survives will be determined by those in his own party. US employment numbers for March will be released and expected to show job growth cooled slightly after a bumper February. A pledge to create more jobs was a pivotal pillar of Donald Trump’s campaign – recent figures will reinforce the conviction of his supporters. But having been in the job less than three months, his influence on the latest results is questionable.